As part of the reconstruction service for breast cancer patients in Essex, Mat Griffiths has been developing an interest in the treatment of lymphoedema which is a disease that can plague the quality of life for cancer survivors or those unfortunate to develop it spontaneously. Interruption (by surgery or radiotherapy) or maldevelopment of the lymphatic system can mean that the affected limb is unsightly, swollen, uncomfortable and susceptible to infection (cellulitis). The excess limb volume is made up of excess fluid and, if not managed well with compression garments, can deposit extra fat. In a small number of selected patients with early lymphoedema, restoration of the lymphatic flow may be attempted by diverting the small lymphatic vessels into adjacent blood vessels using supramicrosurgery techniques (lymphatico-venous bypass; LVB) but the results are variable. Transplantation of lymph nodes (lymph node transfer; LNT) is also possible with microvascular techniques but requires nodes from else where to be harvested and the effect is usually localised. A more predictable, though not curative, option is circumferential suction assisted lipectomy (CSAL). 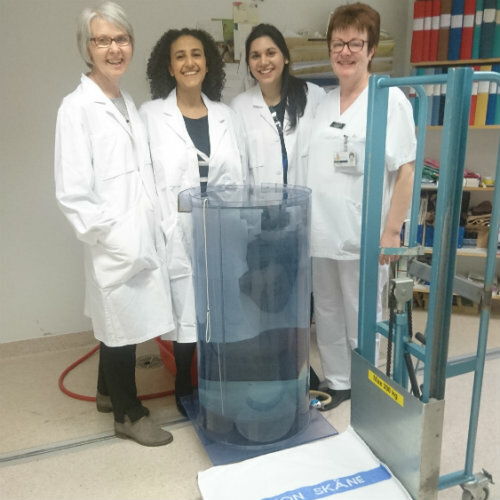 Pioneered by Dr Håkan Brorson in Malmo, Sweden this is the only way to deal with excess fatty volume in the limb but requires a co-operative patient for optimum results. Intensive liposuction with special cannulas, under tourniquet control, allows large volumes of fat to be removed with the aim of restoring the limb to the same size as the normal side. Garments are applied in theatre but must be worn 24/7 to prevent the fatty tissue recurring. 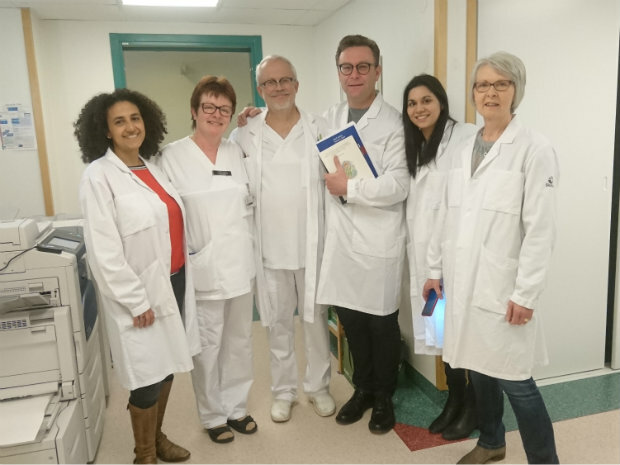 So that the assessment and technique were learned correctly Mat and his team visited Dr Brorson’s unit in Malmo for 3 days to participate in live surgery and spend a whole day observing the assessment process in the outpatient clinic with a view to rolling this out to the lymphoedema patients of Essex. Main picture: The Plastic and Reconstructive Surgery Department, Malmö, Sweden. From left, Mary Morgan, Karin Online, Håkan Brorson, Mat Griffiths, Sonya Gardiner and Annette Palmer.